We write to you today with great sadness. Baba Hari Dass, known affectionately by many as Babaji (respected father), passed away on September 25, 2018 at 10:32am. On Wednesday, September 26 at 9:00am, our students and faculty will gather at Mount Madonna Center lake to observe a moment of silence honoring the life of Babaji. 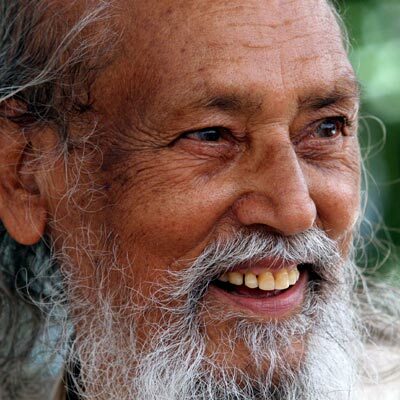 Babaji inspired and helped build Mount Madonna Center and Mount Madonna School beginning in 1978, while instructing students worldwide in the traditional practice of Ashtanga Yoga. There are really no words that adequately express the deep gratitude and love we feel towards Babaji. Many memories of him will be shared in various ways during the coming days as we process his passing and tribute his life. 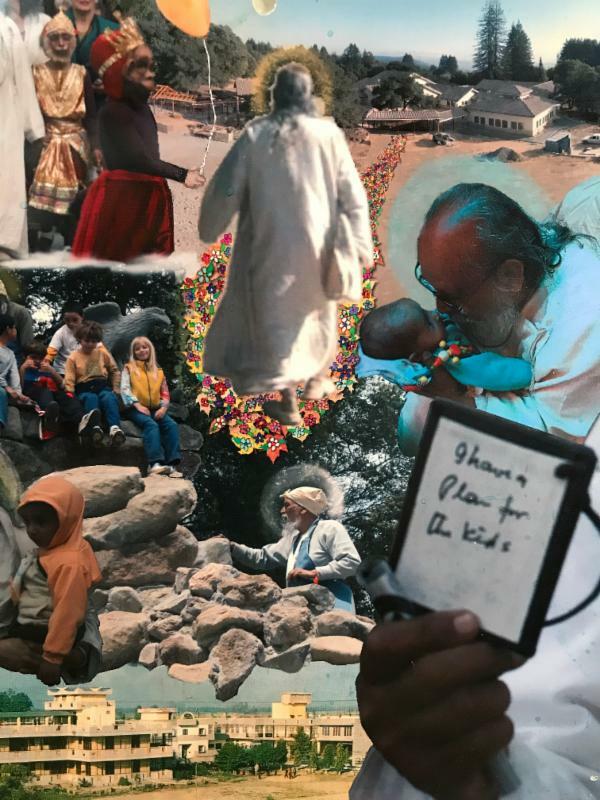 Babaji’s touch is evident throughout the Center property in the rock walls and fountains that he and the rock crew built at the preschool, on hillsides, playgrounds and at the upper school. 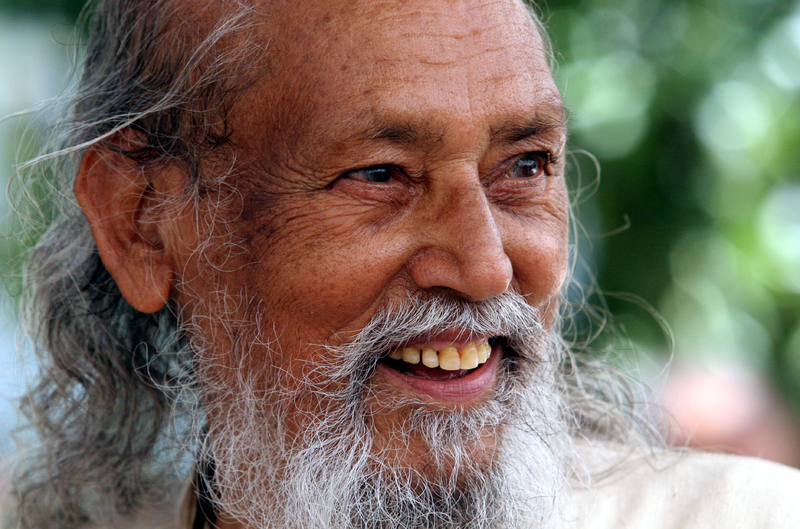 Babaji always noticed the environment and even in his late 80s, would walk through the grounds picking up trash. He loved and cared for the children. He inspired and led efforts for the Ramayana!, Halloween haunted houses, the Hanuman Olympics, children’s yoga classes, volleyball, basketball and so much more. To read further about Babaji and details of his life, please follow this link to a piece primarily written by Ward “SN” Mailliard, faculty member and vice president of the MMS Board of Directors, with input from Sarada Diffenbaugh, MMS Board president and former head of school, and Richard Timan, MMS Trustee and current parent. As is tradition, an Indian vedic memorial ceremony known as a shraddha will be held for Babaji at Mount Madonna Center on Sunday, October 7, the 13th day after leaving the body. Information about the shraddha, once it is available, will be posted in our weekly eNews. During the days leading up to the shraddha, Mount Madonna Center’s activities will be altered so the residential and wider community can extend their practices and rituals, as well as prepare for the anticipated guests and visitors. Meal schedules will be changed, with very simple options provided. If open, cafe and store hours will be posted. The main room of the Community Building will be reserved for rituals, meditations and sharing memories. Please be respectful of these quiet times and spaces and pardon any inconveniences caused. Today we hold tender hearts full of Babaji memories. We are grateful that we were graced by his presence and aspire to follow his example of self-development and service. May all be in peace.